Looking for ideas on how to make your home more efficient? Improving energy efficiency with new windows, doors, insulation, and climate control systems is a GREAT remodeling project that we handle for our customers, neighbors and friends, all the time. Now, this is not necessarily something we would do if you are planning on selling your home soon. This is more of a long term remodel that we are contracted out for. So if you are looking to stay for a while, or just bought your home, this is one of the first things you should consider. First off, many homes are highly inefficient. Even newer ones where you think you’re ok, could have been built focusing on price instead of value. And that’s what we’re after here, value. How much are you wasting on heating costs? Cooling? Do you have doors that are drafty? Or windows that let in the sun, along with harmful UV rays, damaging your floors and furniture? Maybe your climate control system and thermostats aren’t fully automated? All of these items and another handful of great ideas can be handled by a proper contractor. 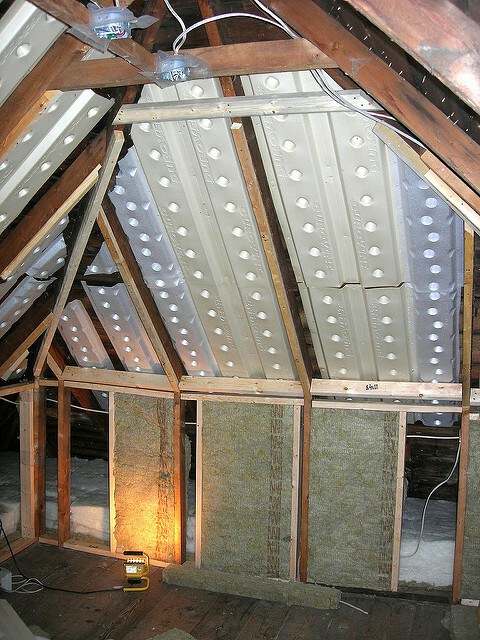 Usually, if you want to save on heating/cooling, insulation is only part of the issue. We see a lot of cases where people think if they just add some more R factor to their attic they’ll be fine, only to see their efforts wasted. Want to really fix the issue? Then take the approach that will solve everything at once and Drastically save you on your monthly bills. Check out your R-factor and see what needs done there, sure. But also look at your doors. Drafts account for huge amounts of lost energy. Windows for that matter, too. But windows if they’re double pane with a proper frame can do wonders. Then if you control it all by adjusting your heating and cooling for times when you’re gone, or asleep, that just is the icing on the cake. We’re happy to help, just feel free to give us a call for a quick chat.